Saints and Sinners, the Camarilla Setting for Vampire: The Masquerade Live Action Roleplaying Game in Orem, UT. What is Mind's Eye Society and Why Choose Them? What is Mind's Eye Society? Mind’s Eye Society, also known as MES, is at its core a community of role-players who come together to play games and give back to their communities in the United States of America. Mind’s Eye Society is the name of the United States National Organization, a part of a global community of role-players who share a common setting and universe. Mind's Eye Society operates under one common setting. When you create a character in our Domain, you are creating a thread in the global fabric. You can bring that character from your local game to any other Chapter, Domain, Regional, or National game in MES. By joining MES, you are joining a global community of role-players, able to play anywhere in this global community at any time. Mind’s Eye Society starts at the local level, which is called a Domain. Domains are collections of cities and towns that work together to run games. They are led by Domain Storytellers and Domain Coordinators who are elected directly by the players in their Domains. The Domains come together to make up a Region, which is comprised of all of the Domains within a group of states. Each Region is led by a Regional Storyteller and a Regional Coordinator. 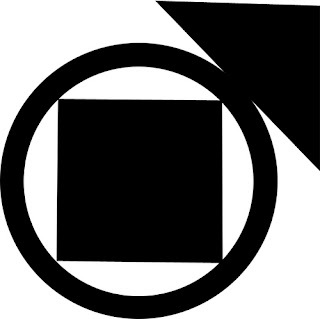 Mind’s Eye Society is composed of eight Regions. These eight Regions collectively make up Mind’s Eye Society on a National scale. The regional officers elect a National Storyteller and a National Coordinator to lead them. The National Officers are supervised by the MES Board of Directors, who are elected directly by all of the players in the United States. We are a diverse group, coming from all ages and backgrounds, finding common ground in our games and building friendships and relationships that often last for decades. There is no “MES type,” as we have members from all different walks of life and backgrounds. All are welcome and treasured as contributing members. Why should our Game Part of Mind's Eye Society? I have chosen to make our game a domain of the Mind's Eye Society, because it allows our players to go to other Mind's Eye Society games and take their characters with them. The closest games are in Las Vegas, NV and Boise, ID, but there are game in nearly every state. There are other game network organizations, but Mind's Eye Society is the best represented on the west coast of the United States. It's also exciting to know that other players may come visit our game, while taking a break from skiing perhaps. Mind's Eye Society also has a charity network that rewards players for volunteering or donating to organizations such as local women and children’s shelters, animal rescues and disease research foundations. 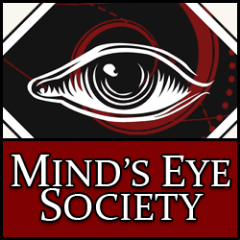 Find out more about Mind's Eye Society. We need four more players to finish setting up our domain. Email: slmesstoryteller@gmail.com to find out how to play. If you're already a member of the Mind's Eye Society, please e-mail your name and membership number to slmesstoryteller@gmail.com. There are seven major clans of the Camarilla. While others may join the Camarilla, these clans each have one Justicar who serves the Camarilla's Inner Circle. While the clans work together to achieve a common goal; ie continued existence, there is plenty of intrigue and plotting between and inside of them. The clans are in alphabetical order. Quick to anger and always passionate, Brujah are often pointed to as a clan of unruly rebels and roughnecks that should not be messed with. Scratch the surface of a Brujah thug, and these days you are more than likely to find a Brujah thug underneath. However, the clan is a fallen clan, still mourning the death of their Carthaginian paradise and decaying from their era of warrior-scholars to petty rebels. the clan Brujah lived among the mortals, letting themselves revere as kings and gods, trying to build harmony between mortals and Kindred. The first place that became an experiment of the Brujah was Greece, specifically Athens. Learning from and discussing their ideals with the Athenian orators and philosophers, the Brujah found countless ideas to improve society. The Brujah allowed other Cainites, especially Toreador, to enter their city and to share Athens glory. Conflict withe spartan Ventrue led to discord and the first Brujah War. After that, many of the praedicandi, the rulers of the Clan, left Greece, convinced that the experiment had failed and that they should start again elsewhere. The clan's next major moment is also its greatest moment. The Brujah built or co-opted a Phoenician colony, Carthage, for another grand experiment. The Brujah say that Carthage was a utopia, a city where Kindred and kine lived in harmony, and where justice reigned. Other clans, and history, tell the story somewhat differently. They say the Carthaginians were cowed and sacrificed to their vampiric gods. Carthage fell during the Third Punic War in 146 BC, when Scipio Aemilianus, aided by the Malkavians and Ventrue of Rome crushed the shell of a city hollowed out by two previous wars. During the Dark Ages, the Brujah were considered part of the High Clans, a clan of warrior-scholars noted for their fierce devotion to radical philosophies. The Brujah viewed themselves as the practitioners of a Greek philosophy of total mental and physical discipline. During the Victorian Age, the Clan split between the learned and the rebellious. 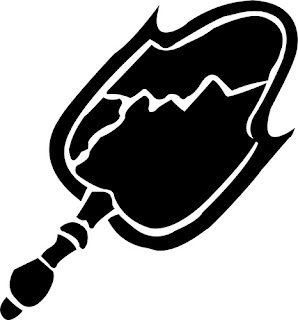 The bulk of the clan began rebelling against the oppressive and stagnant policies of the Camarilla. They saw themselves as the proletariat of vampiric society and wanted to change this through revolution. In the final nights, the Brujah are the clan of rebels. The ancient traditions of the clan are all but forgotten. Gangrel are nomads who hold closer ties to the wild places than most of their city-bound cousins, they are also closer to the animal aspect of the Beast. Due to their nomadic nature, the history of the Gangrel is difficult to verify. The Gangrel shunned many of the civilizations of antiquity, instead roaming the woods and preying on tribal societies who regarded them as evil spirits that were meant to appease. They had almost nothing to do with the development of the Roman Empire, though occasionally a Brittaniac, Gaulian, or Gothic Gangrel would nose around Rome in the hopes of catching a young neonate off-guard. If there were any Gangrel in the city itself, they were likely attached to any one of the "slave" races - mainland Europeans, Africans, Middle Easterners, or even more exotic peoples. Gangrel fought on both sides of the Punic Wars, although in the end, most flocked to the Ventrue. In Scandinavia a Methuselah held the northmen in a tight grip and ruled as a corporal god, sending them down to raid the civilizations he despised in order for his warriors to earn the right of the Embrace. The Gangrel during the Dark Ages were experimenting with expansionism and traveled to the four winds to far off lands to conquer, explore and trade. As paganism was on the decline and many Gangrel could not pose as normal humans due to their growing abnormality, they instead prowled the countryside, feeding from peasants and travelers. The Renaissance and the loss of woodland made unlife complicated for the Gangrel. Many left heavily populated areas in search for untouched wilderness or receded into those few tribal societies still existing. While Gangrel are loyal to their clan and their chosen sect, they tend to be wary, aloof, and have an aversion to organized society. The Malkavians are a clan of Kindred cursed, or blessed, with insanity. Throughout history, the Malkavians have been the seers and oracles of the Kindred, bound by strange compulsions and insight. They are also pranksters, with their "jokes" ranging from benign to sadistic. Many of the early Malkavians posed as city-gods, using their oracular powers to convince the population that they spoke and listened to the gods. In Greece and the lands of the Fertile Crescent, many of the early Malkavians prospered as oracles and soothsayers and later, their foresight placed them into the role of viziers and advisers to the ruling Ventrue of Rome. Later, however, the Malkavians were blamed for the more unstable emperors and when Rome finally fell apart, the Malkavians drifted away, shattered and lost. The Dark Ages were a difficult time for the Malkavian; still suffering from their fall from grace as an important clan after the collapse of Rome, many of the Kindred feared and distrusted the Madmen. Many more pitied their sad, insane state. Humans, needless to say, also feared the madness of the Malkavians; many were persecuted more for their derangements than vampirism. That is not to say all Malkavians suffered horribly; quite a few became advisers, seers, and jesters to well-placed and powerful Cainite princes. The Renaissance was a chaotic and paradoxical time for the Lunatics, much to their delight. The developing forms of literature and philosophy granted them freedom. Malkavians also enjoyed dabbling in Camarilla and mortal politics that provided an intricate web of possibilities to disrupt. Many Malkavians were intrigued by growing medical developments, particularly insane asylums. The Victorian Era was the time of the learned theories of psychology and psychiatry. Asylums now started doing what Malkavians had been practicing for centuries, taking an interest in insanity. While the reforms of these hospitals no doubt crippled more than one Malkavian's supply of blood, the new system permitted the Lunatics to experiment with madness like they had never before. Some set themselves up as psychologists, others visited psychologists as patients. The rise of the Bohemian lifestyle within society meant many more kine were willing to expand their own perceptions with new cultures, experiences and drugs. The Malkavians were only too happy to oblige. New forms of expression and ways of thinking both nourished the Malkavians and allowed them to be as florid as they pleased; after all, if a finely dressed gentleman is shouting about how people on the street are telling him to kill dogs, it must simply be the newest performance piece going around the salons. Malkavians continue to fulfill the roles of seers and jokers in the modern nights. The most visibly cursed of all Kindred, the Embrace warps each Nosferatu into a hideously deformed creature. The Nosferatu are the spymasters of the dead, collecting information and selling it for a dear price. They are also the masters of the underground, living in the sewers for protection. In the beginning, most Nosferatu resorted to hunt humans as prey, as they were unable to coexist with them in their cities, as the mortals either ran away in fear or resorted to fire and violence to drive them out. Most hid from the sun in subterranean caves or in the grounds of rivers and lakes. Many Nosferatu hid in the great rivers like the Tigris or the Nile to prey on farmers at night. The development of the catacombs in ancient Rome connected the Clan with mortal society. In the middle age, Nosferatu were notable in particular for their embrace of Christianity and redemption. They had also discovered the connection between human waste and plagues and used it to defile the water sources of a village if a local Cainite lord became too arrogant. Many Nosferatu chose to dwell among the beggars and outcasts of society, feeding from the muck of society and hiding their disfigurements as illnesses like leprosis. 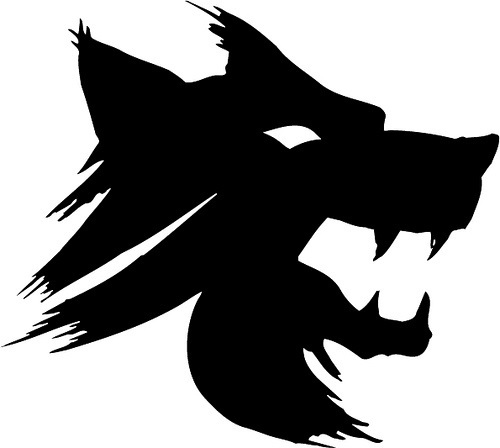 The clan places higher emphasis on clan loyalty, than sect loyalty. During the Renaissance the Nosferatu began to construct their urban lairs, using the urbanization as a means to disappear from the mortal world to ensure the protection of the Masquerade. Many ghettos and tenements housed large populations of Nosferatu that lived hidden from the views of mortal society. The Renessaince also saw an increase in Embraces that had only spite and hatred as reasons, as many Nosferatu grew to resent the new arts and philosophies that began to develop. The Nosferatu were very quiet during the Victorian Era. In a time when physical beauty was supposed to reflect spiritual beauty, the Nosferatu experienced one of the greatest periods of exile in their long and lonely history. Where the Toreador were ascendant, the Nosferatu were relegated to the slums and ghettos of Europe. More than one Prince banned them from entering Elysium. So, instead of parading around the brightly-lit mansions of the wealthy and noble, the Nosferatu scuttled around the back alleys, taking over derelict buildings and the sewers. Nosferatu continue to be spys, but have become extremely paranoid. Many of them quietly believe that the founder of their clan is hunting them down to destroy them. The Toreador are a clan of vampires known for being some of the most beautiful, sensual, seductive, emotional and glamorous of the Kindred. They are responsible for the legends of vampires who seduce and entice their prey with beauty, love and sensuality. Famous and infamous as a clan of artists and innovators, they are one of the bastions of the Camarilla, as their very survival depends on the facades of civility and grace on which the sect prides itself. The Toreador had a strong presence in the early minoic cultures of Greece and they were allies of the Brujah in Athens. 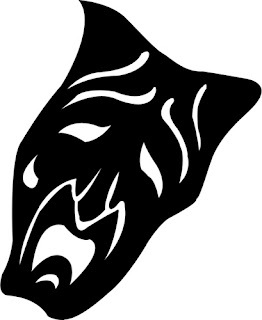 The Toreador attribute many of the classic tales as distorted versions of actual interference of mortals and Cainites. Their squabbling, however, weakened the first civilization of Mycenae, as childer drew their sustenance from the population, who in turn became to weak to defend themselves from foreign invaders. After the fall of Mycenae to the Dorians, the Toreador wandered across the Mediterranean, often seeking shelter with the Roman Ventrue or the Carthaginian Brujah. In the middle age their numbers were made up of the same types that are common in the modern nights: minstrels, painters, poets and actors. Many Toreador instilled themselves into the structures of the Catholic Church, primary because the Church was the only supporter of art in these dark times. The Renaissance is well remembered as a Golden Age of the Clan among the Elders. As one of the most powerful Clans within Europe, the Toreador prospered in France as Europe's cultural nexus, enjoying the works of various new artists as Michelangelo and DaVinci as well as the works of Shakespeare and the invention of the mirror. Many Toreador began to turn away from spiritually motivated preservation to self-serving hedonism, which plagues them today. The Toreador reveled in the Victorian age. The Industrial Revolution led to a phenomenon that only the rich had been previously afforded - leisure time. A heyday of theater, music and art began in cultural nexuses like New York, London and Paris and spread throughout the globe. While the influence of the Church in people's lives waned, those Kindred that latched themselves onto businessmen prospered. Possibly the one thing most Toreador love with the exception of beauty is money, and it was now accessible from places other than the landed gentry of the time. While the Clan has had peaks and troughs, this was a time that cemented them as a true power. The Toreador play their games as they always have. The recent innovations of cinema, television and the internet means that new forms of art and expression are being discovered almost daily, meaning the Toreador have become even more varied. However, the Toreador are still a noble and aristocratic clan, and many perceive the Embrace of graffiti artists, Wall Street Wizards and CGI technicians as a pollution of the vaunted ideals that the Clan used to stand for. Many nights are filled with one Toreador bickering with another over what can be considered true art, and each Toreador's opinion is as varied as the definition of art itself. Clan Tremere is the second youngest of the vampiric clans, having just come into existence during the dark ages. 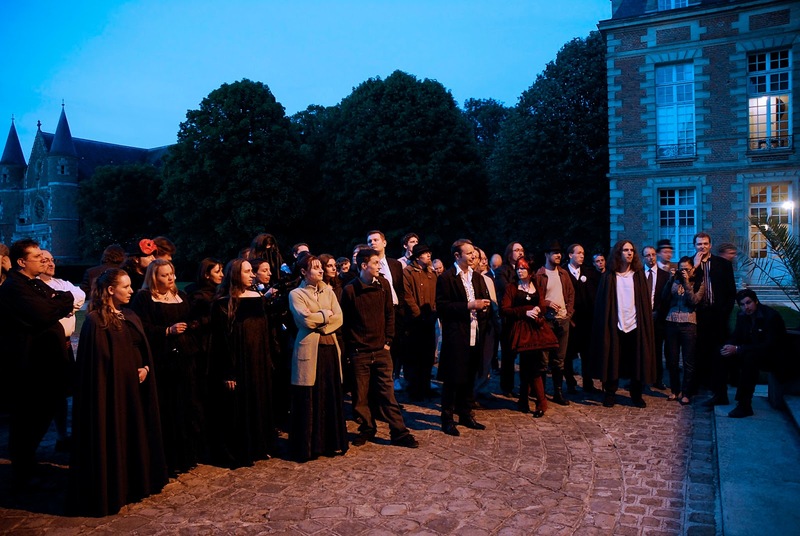 In the little time since then they have made incredible inroads within vampiric society and are one of the most powerful clans in the modern nights. This is due in no small part to their strict hierarchy, secretive nature, and mastery of Thaumaturgy, all of which elicit suspicion, fear, and respect from other Cainites. The Warlocks stand as a pillar of the Camarilla and are one of its main defenders. The Final Nights have many things in store for the Tremere, however, and the more powerful they grow, the more their enemies gather - and in their bid for power, the Tremere have accumulated more enemies than most. The Tremere began as House Tremere, mages of the Order of Hermes named for their leader and founder, Tremere. At the end of the first millennium, the members of House Tremere realized the Hermetic arts were failing and found its immortality potions no longer working. Facing the possibility of losing everything, Tremere ordered research into alternate methods of sustaining their lives. House Tremere undertook numerous experiments and settled on vampirism. These experiments made enemies of the Tzimisce clan and war began. The war with the Tzimisce was not going well for the Tremere, so they undertook more experiments, using captured Tzimisce, Gangrel, and Nosferatu. These experiments created Gargoyles and the Tremere used them as shock troops against the Tzimisce. During this time, many other vampires viewed the Tremere as upstarts and third class citizens. They were often driven away from cities. In addition, the Order of Hermes declared war on the Tremere as well. During the Renaissance, the Tremere slowly worked their way into the trust of the Ventrue, working against a common enemy, the Tzimisce. They were finally acknowledged as a clan by vampiric society. The Inquisition was particularly hard on them, however, and they lost many of their cults and chantries. The formation of the Camarilla signaled the Tremere's rise to legitimacy. Though the Tremere did not suffer greatly from the Anarch Revolt, the spread of Thaumaturgy among the Anarchs by Anarch Tremere was a dire threat to the clan. The Warlocks used their sorcery to facilitate communication and coordination of the Elders needed to support such an endeavor and played a pivotal role at the Convention of Thorns, when they placed a curse upon the entirety of Clan Assamite, preventing them from drinking the blood of Cainites without extreme danger. The Assamites would never forgive the Tremere. At the same time, the Tremere antitribu were also cursed so that anyone who partook of the Vaulderie would be branded by a mark visible to "true" Tremere. Unfortunately for clan Tremere, due to the insistence of clans Gangrel and Nosferatu, they were forced to sign an oath, stating that all slave Gargoyles would be released and no more would be made. During the 18th century the Tremere continued to spread throughout Europe and North America, with considerably less success in Africa and Asia. Despite this expansion, the clan maintained its hierarchy, and the web of communication leading back to Vienna and the Inner Council steadily grew. The Victorian age saw a rise in occultism among mortals, and the Tremere were quick to capitalize. Infiltrating the many secret societies that sprang up among the upper and middle classes, they drew childer, servants and herds from them. This also allowed the Tremere to practice their talents more openly, although still within the strictures of the Masquerade. What once would have gotten an incautious magus burned at the stake for witchery, now enthralled and excited mortals. In modern nights, free Gargoyles are making themselves known within the Camarilla and they are clamoring for more freedoms and rights despite the Tremere's attempts to keep them under their control. Even though they seek to join the Camarilla, the Assamites still despise clan Tremere and are happy to destroy them at every opportunity. The Ventrue has long been one of the proudest lines of vampires. Its members work hard to maintain a reputation for honor, genteel behavior, and leadership. A sense of noblesse oblige has long pervaded the clan, accompanied by the genuine belief that the Ventrue know what's best for everyone. They not only consider themselves the oldest clan, but see themselves as the enforcers of tradition and the rightful leaders of Kindred society. They have long been Embraced from the ranks of nobility and privilege, whether kings or merchant princes, but they have also been known as knights and warlords who sought to live by the laws of chivalry and duty. If anything, the Ventrue have adapted to fill the roles of leadership over the ages. They remain the largest supporters of the Camarilla and the Masquerade, believing both institutions to be the surest means of protecting vampires from the growing mortals masses, and of guarding their own power. The Ventrue cherish history more so than any other clan, believing it to be a worthy guide to live by and to justify their positions of authority today. This is not to say that they have any particular obsession with the truth, a myth can be much more powerful than the real thing. However, hey take history very seriously, a fact that is no doubt aided by their tale being one of conquests and grand achievements the likes of which few other clans can boast. The first major achievement of the Ventrue is the creation of militant Sparta. Wary of the mortal masses even in those ancient nights, they sought to make the humans a tool to be used rather than fought. They would soon become the perfect example mortal potential: loyal, brave, and completely devoted to self-perfection. More and more Ventrue gathered to become a part of the Spartan war machine, urging the neighboring city-states to ally with Sparta while establishing their own domains within the Peloponnesian League. This also made possible the rise of the mercantile city of Corinth. The growing power of Sparta and the Brujah alliance in Athens would lead to the first Brujah War, a conflict that would set the stage for a bitter rivalry between the two clans millennia afterwards. Though the Brujah or Ventrue never came directly to blows in the conflict, the eventual invasion of Athens caused many Brujah and Toreador to regard the Ventrue as power mad barbarians, while Spartan Ventrue considered the Brujah dangerous idealists. After Sparta's fall, the rise of Rome signaled one of the clan's greatest ages. Recognizing the mortals of Rome to be a proud and superstitious people that would sooner stake any vampires than consider living with them let alone beneath them; the Ventrue did not seek to rule the Romans directly or make themselves deities, as vampires in the past had done, but influenced events from behind the scenes by collecting favors from the city's citizens. The Ventrure claim that Carthage was a den of infernalists and monsters, where Brujah and Assamites ruled as gods and demanded blood sacrifices. The Ventrue prevailed, and the Brujah would never forgive them for destroying their fabled city. In the years that followed Rome prospered. The Ventrue shared its power with many of the other clans that had taken part in the wars against Carthage: the Gangrel, Malkavian, and Toreador clans; establishing friendships with other Cainites even as the Ventrue themselves began squabbling with one another. This squabbling led to the fall of the Roman Empire. After the fall of Rome, the Ventrue abandoned the ruined city and went elsewhere to establish themselves are rulers of mortals. They supported the feudal system and worked to expanded it. Posing as kings and merchant princes, the Ventrue expanded their influence across the Mediterranean through trade routes and crusades, thus becoming again a force to be reckoned with. During these times, many Ventrue were influenced by the laws of chivalry and personal honor. During the following centuries, the Ventrue used their wealth and influence to expand their power all over the globe. It was during this time that the Ventrue learned to temper their cutthroat business dealings with an outward veneer of philanthropy. Currently, the Ventrue have largely abandoned noble ties and find themselves dealing with the current source of money and power, corporations. Which Clan will you play? Anarchs are vampires who reject the status quo of Cainite society. The resulting organization of anarchs is called the Anarch Movement. The Anarchs especially resent the privileged status held by elders within the Camarilla and other vampire sects; when the eldest hold the most power in a society of immortals, the lot of neonates is not a happy one. The Anarchs themselves are not a sect, per se; in most areas, they are simply a faction on the fringes of the dominant Camarilla hierarchy. However, a loosely-organized Anarch Movement has emerged over the course of the past century, and has begun to establish its own traditions, power blocs, territories, and all the other trappings of a full-fledged sect. Anarchs are often targeted for recruitment by the Sabbat, but most respect the Masquerade and some of the other Traditions, even if they do not respect the vampires who enforce them or the system that benefits from them. 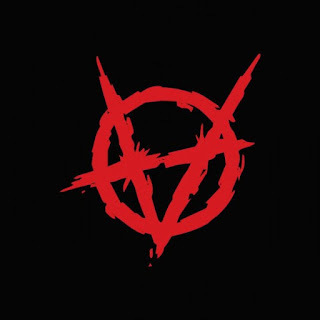 Anarchs, like all vampires, are considered members of the Camarilla by default, but unlike the Sabbat they are tolerated, as per the terms of the Convention of Thorns. The Anarch's historical origins lie in the Anarch Revolt that birthed the Sabbat, but in the modern nights they are mostly an unorganized rabble of younger vampires and Caitiff. "Anarch" was originally a name imposed upon them by Camarilla elders, since they sought to overthrow the leadership structures of Cainite society, but while many Anarchs are indeed anarchists, the more traditional desire has been to bring equality and some sort of democracy to Kindred society. Please contact SLMESStoryteller@gmail.com to join us. The Sabbat (Suh-baht) is a loose organization of Cainites who reject the Traditions. Unlike the Camarilla, the Sabbat believe in the Antediluvians and Caine. 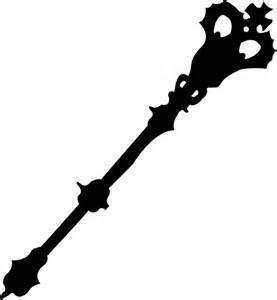 Also known as the Sword of Caine, as they believe they will be the army Caine will use to destroy the Antediluvians once Gehenna (the end of the world) arrives. 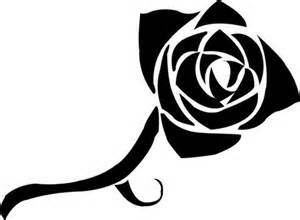 The Sabbat was founded in 1493, largely in reaction to the Convention of Thorns which founded the Camarilla. They are the remnants of the Anarch Revolt of the time. Leaders of the endeavour were the Tzimisce and the Lasombra, two Clans that had ostensibly destroyed their Antediluvian founders and had accepted that there was no turning back for them. Delegations of both Clans met at the island of Mallorca and began their own negotiations, aided by several malcontents among the Anarchs, who refused to surrender to the Elders or did not share the view of their main Clan. Others joined to escape the practice of the Blood Bond. These groups existed as small packs in the wilderness that harassed the holdings of the Elders and those who had submitted to the Camarilla, called "Sabbats" by the superstitious mortal population for their rapacious behavior and proud display of their inhumanity. Slowly, these disparate packs were brought to heel by the spreading of the Vaulderie, uniting the remnants of the Anarch Revolt as the Sabbat, a sect devoted to warfare against the Antediluvians and the tyranny of the elders. The Sabbat sees itself as the army of Caine and consequently is tightly organized, far more than the relatively anarchic Camarilla. The Sabbat consists mainly of Clans Tzimisce and Lasombra and numerous antitribu from Clans normally independent or associated with the Camarilla. 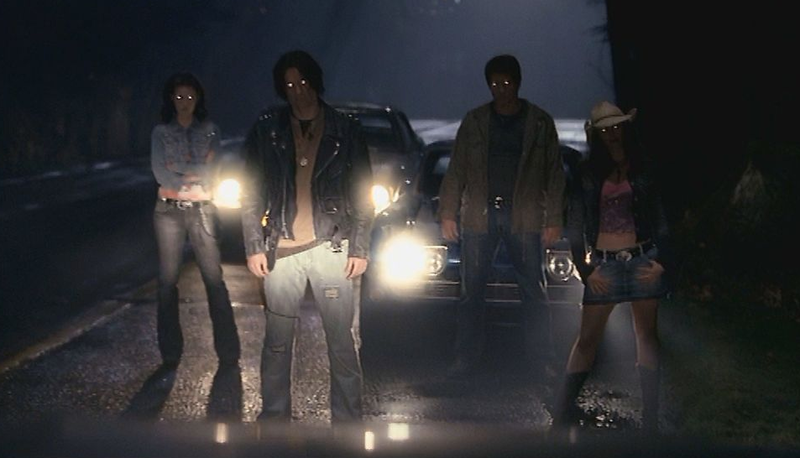 The cornerstone of Sabbat organization is the pack; Sabbat packs are organizations of 3-10 vampires mutually bound through the standard blood-sharing rites of the cult. Packs have a ductus, who is the pack's warleader, and a pack priest who reminds the pack of its responsibilities to Caine. In addition, pack members are mutually bound in a vinculum — a sort of communal blood bond — created by the blood-sharing ceremonies. Packs generally occupy communal havens; given the Sabbat's rejection of human mores and its use of artificial loyalties enforced by the vinculum, there is less need for privacy. The Camarilla (kam-uh-rē-uh) is the largest of vampiric sects, a loose organization which seemingly represents and protects all vampires by enforcing and promulgating the Masquerade. It is currently composed of seven clans, though officially it considers all Kindred under its influence and welcomes any that obey its laws. The Camarilla's birth was grounded in the growing threats of the Inquisition and the Anarch Revolt, both of which were threatening Cainite domains throughout Europe. 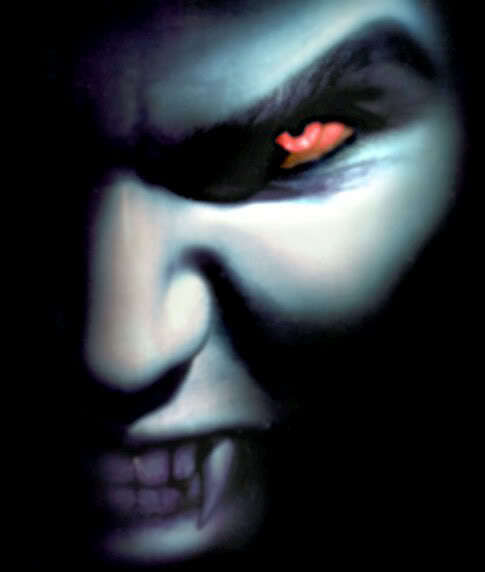 The formation of the "Camarilla" (a word that denoted both that it was a convocation of peers or comrades and that it met in session secret from mortal knowledge) was announced in 1435 as the Founders began openly rallying support for a coalition to protect vampires from the dangers of roving Anarchs, the invading Assamites, and the increasingly dangerous mortal mobs. War continued to rage over the next several decades and the Founders, now called Justicars, fought to hold the new sect together. In 1486 the first national conclave was convened, during which the Justicars were given broader authority to punish vampires who violated the Traditions. A new body of agents was also formed to report to the Justicars and free them to further develop the sect, creating what would eventually become the position of Archon. In 1493, the Convention of Thorns marked the end of the First Anarch Revolt and the birth of the Camarilla as it is known today. The Traditions were accepted as law. Representatives for the Brujah, Gangrel, Malkavian, Nosferatu, Toreador, Tremere, and Ventrue clans officially joined the sect, while those speaking for the Lasombra and Tzimisce, who were mainly anarchs, rebelled against what they considered an offensive ultimatum and went on to form the Sabbat. While the Convention of Thorns was a significant victory for the Camarilla, it set the stage for the next five centuries of conflict between the two sects. In general, much of the Camarilla's approach to maintaining order involve enacting the Traditions, which among other things means supporting a system of feudal domains and the responsibilities of sires for the conduct of their childer. The latter idea is often taken farther to mean the sire has authority over the childe, and that elder vampires are intrinsically more deserving of respect and fit for leadership than younger vampires. Whatever the merits of that position may be, it has a tendency to instill great resentment among young Kindred and in the past has driven many to the Anarchs. Older vampires naturally support the social order which they have mastered over the centuries.